Changing the color of the selected layers with the colored circle in the lower left. The LayerView also tends to have a color changer. These are often loaded from files with specific values. Drawing Machines: What is a Cyclocycloid? Harmonograph? Pintograph? Touch Embroidery includes a few specialty items of interest. These are admittedly a bit cryptic. They are modeled after drawing machines. Namely Cyclocycloid, Harmonograph, and Pintograph. How do I transfer my designs to my machine? Put it on a thumb drive from your computer. Load the design from the thumbdrive. Hoops, in embroidery, are used to hold fabric in place during the embroidery process. These hoops come in different sizes and depend on the machine and differ greatly. So it is essential to know whether you can draw the desired image in the given space. Which is why you would need hoops for any software to make embroidery. Keeping in mind that the presser foot of the machine may still reduce the effective range within that hoop. Machines will almost always allow you to measure the size of the design and it is essential that you do this. The tool selector is the Tool Menu button and the 5 quick selection tools, of the last five tools you used. Touch Embroidery has a Layer View which can be toggled by pressing the layer button. How would I make a logo in Touch Embroidery? At present, you likely would not. You'd send away to a digitizing service for a logo. There's a large number of companies with the expensive software tools that specifically cater to this sort of work (E.g. Quality Punch) . They are fast and professional and know the ins-and-outs of embroidery and machines to sew them on etc. There's a lot to getting things a good logo. My work tends to veer a bit away from this and more towards the home embroidery user and more artistic work. The fractal system in Touch Embroidery are lsystem fractals. It uses a set of turtle graphic commands. Then, in turn, turns these patterns into sewable items. How would you specifically add that and use it? The Ribbon Tool runs various short programs resulting in sequences of lines that generally look like ribbons, and are acceptable for embroidery. There are two main components to this process, Nodes and Drawing Sequence. The nodes define particular locations. There are a variety of different nodes types, each type interacts in different ways with the other nodes. The drawing sequence defines what we are drawing using these points. 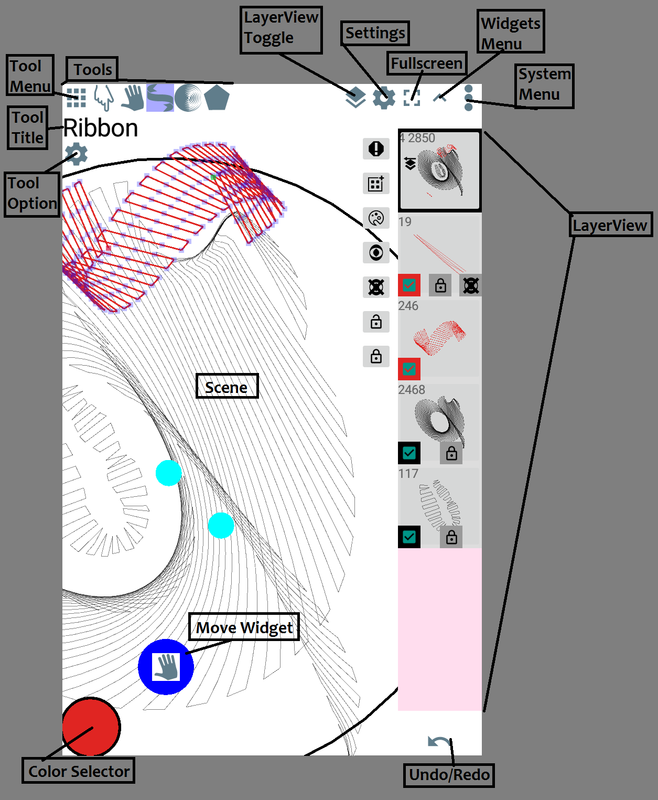 The tools are line manipulation and generation tools. You can change large number of points in specific ways directly modifying the design, by these tools. As well as several that create new lines either simply or in patterns. Tools work on the currently selected layers. Layers are selected in the layer view or by default when they are created. What's the difference between Touch Embroidery and Touch Embroidery Free? I've been disabling a few tools and a few widgets each new version. Usually different set each time, I update the version. Future proof. I might change some things in the future, either disabling some awesome new features when I think they exist. Or simply not disabling anything at all. In either case the main version wouldn't be affected by anything decided whereas the free version might be. These are usually fully formed objects that occupy scene space, most and create various stitches. 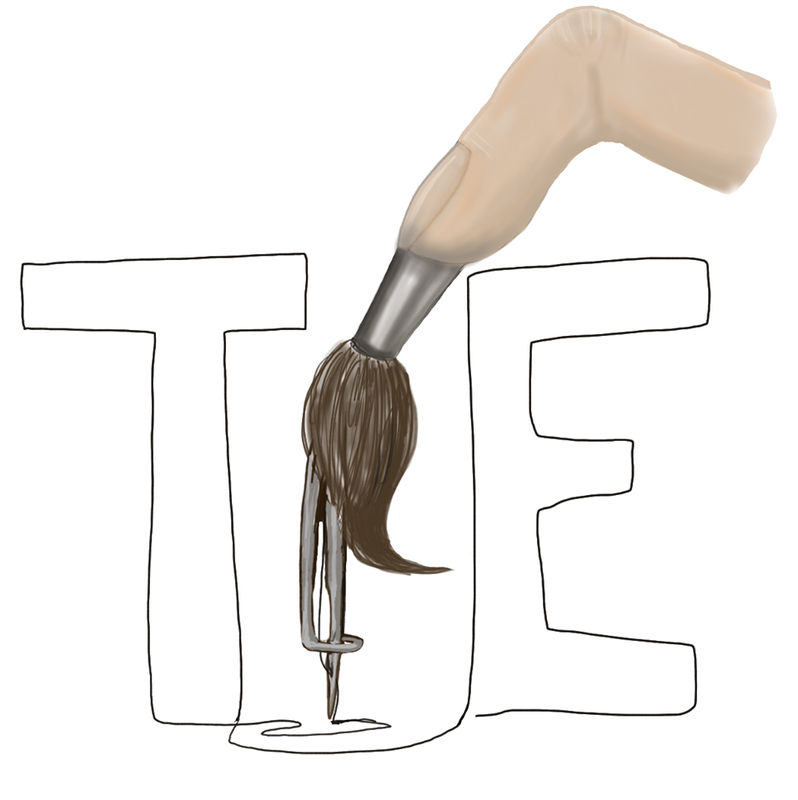 Free version great for viewing, editing and creating embroidery files.